Calling all engaged women — you need this married gear in your life ASAP! 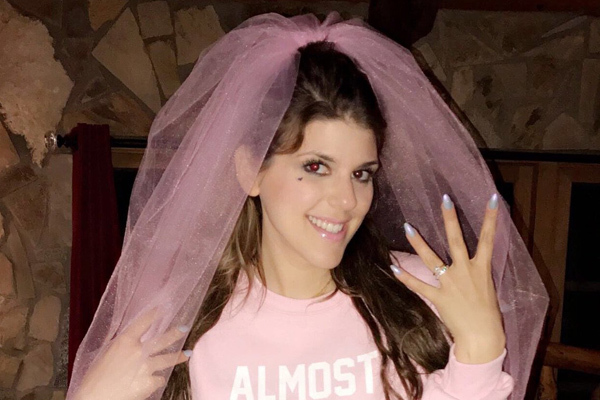 Over the weekend Awkward actress Molly Tarlov celebrated her bachelorette party in Ojai, California, and we can’t get enough of her look. While we are so happy for Tarlov, we’re even more envious of her stylish bride-to-be style. She donned a powder-pink sweatshirt that says, “Almost Married AF” and we want it now. This sassy pink sweatshirt has given us major engaged-and-married style inspiration. Buy it here for $35. We’ve rounded up five items that every bride-to-be, or even some newlyweds, should buy ASAP. While Tarlov’s funky sweatshirt will forever be in our dreams, we have yet to find the actual store who sold it. We do however, have a very close second style that we know you’ll love. Thanks to Etsy there are a LOT of “Married AF” clothing items out there and this one is the original. The Daily Tay account on Etsy sells this grey tee online for $28 (you can get yours here) and it’s amazing. She even has matching coozies for your honeymoon! If you’d rather not have the “AF” part on your clothing, EastEmCo offers a sweet version of the tee, in a white muscle tee cut that you can rock. 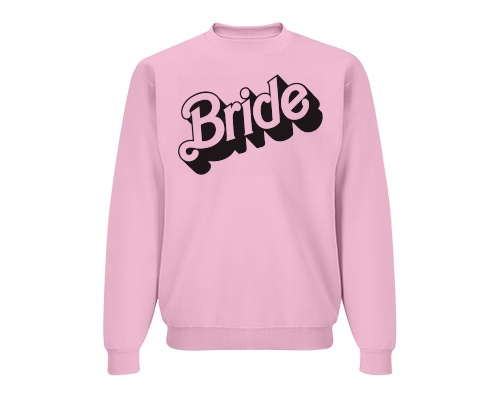 For those of you who love pink, there is a sassy sweatshirt that pays tribute to every girl’s love of Barbie on BridalPartyTees.com that you should check out. 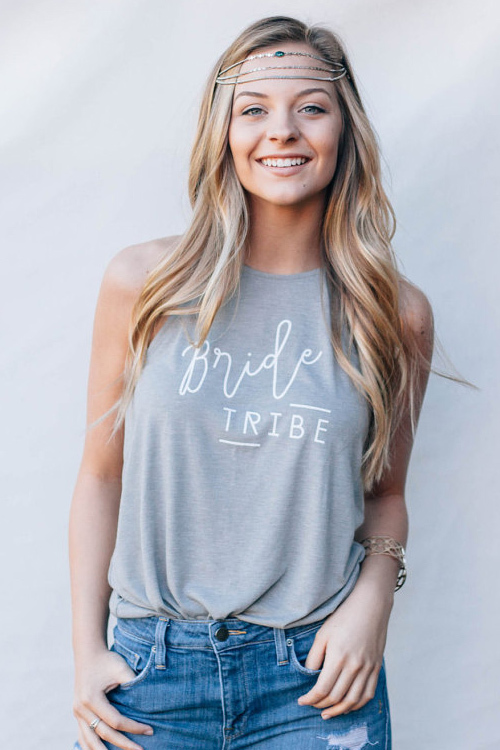 For the bride who wants to shower her bridesmaids in gifts we also found two amazing tank tops that you can buy. Trust us, they will be a HUGE hit. The designers over at Details Darling Shop on Etsy has a hippie tank for $21 that is so fun. 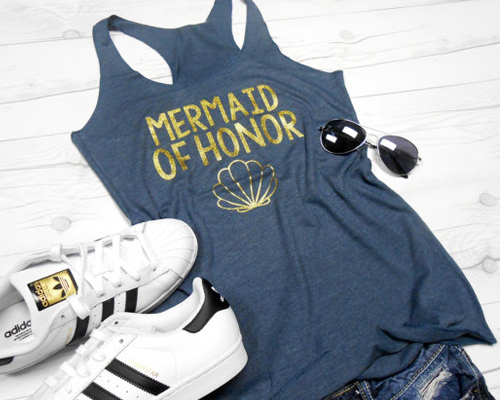 Another look we love is all about the mermaids! Etsy shop, Bride Bikini makes a tank top for your maid of honor that actually says, “Mermaid of honor” and we’re obsessed. It’s only $17. What bridal item is your favorite? Are you ready to be married AF? !